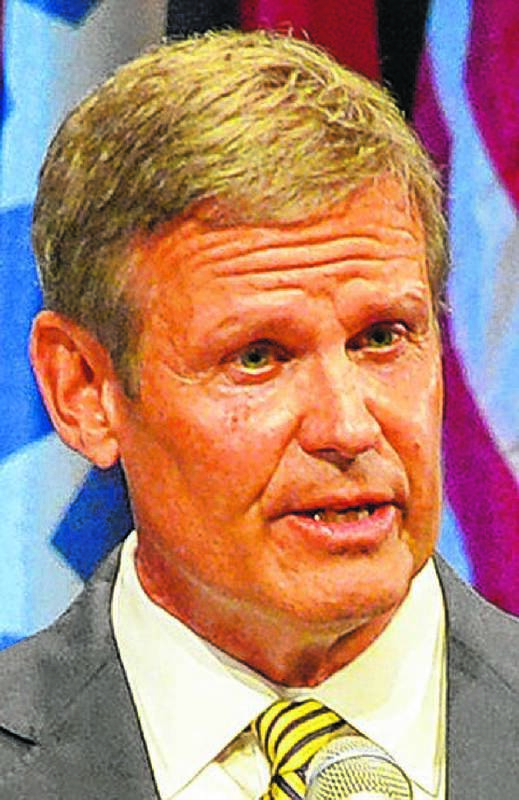 As Democrat Karl Dean and Republican Bill Lee vie to succeed Gov. Bill Haslam as Tennessee's next governor, both agree on one thing: improving public education should be a top priority in a state that despite recent gains still lags much of the nation. But the candidates in the Nov. 6 election sharply disagree on how to get there on any number of issues, including whether that should include taxpayer-funded vouchers to let students attend private schools and expansion of the state's publicly funded prekindergarten program. There's an even deeper disagreement over whether to allow willing teachers to be trained and armed to deter mass school shootings like last February's Parkland, Florida, massacre that left 17 people dead. Lee says he could support arming teachers, but Dean pans the idea and says he would push to provide local school districts with more dollars to fund additional school resource officers. Meanwhile, Lee, a Williamson County businessman who owns a facilities and constructions management company, is making a big push to put vocational training back as a high priority in K-12 education. In recent years the emphasis has been a focus on such training in higher education through the state's network of Tennessee Colleges of Applied Technology. While Dean is supportive of vocational education, Lee is making it a top priority. The candidates do agree wholeheartedly on some things like needing to make teacher pay more competitive with states such as Georgia. And both men want to take a hard look at the state's troubled TNReady student testing program as well as the state's special school district that's supposed to help students from failing local schools but has a host of problems. Lee notes his own children have attended both public and private schools as well as being home-schooled. He said he favors trying pilot voucher programs where public schools don't meet state graduation standards and performance quality. "We ought to challenge the status quo and look at innovative and creative ways to do things, and then learn from those innovations that work to apply them to a broader sense," Lee told the editorial board of the Chattanooga Times Free Press earlier this month. "That's why I think that choice for parents is a good idea, because I do think when a parent has a choice not only is their child's outcome improved, but it can bring improvement to the whole system." Lee said he doesn't support giving vouchers to all parents to attend any private school, but he does favor pilot programs to give more parents options. Based on results, Lee said, the state could decide how best to improve educational outcomes for students, both in existing and new types of schools. "Public education is the way the vast majority of our kids are going to be educated, and we need to make sure that no matter what we do we are strengthening the overall integrity of the entire system," Lee said. When he was Nashville's mayor, Dean strongly backed expansion of Metro's public charter schools, which are public, tuition-free schools that have their own management. "I have scars on my back" from battles as mayor with the local school board over the charter school issue, Dean wryly noted earlier this month at a Kingsport debate with Lee. "But I don't believe in vouchers." Vouchers would take public education dollars, "giving them to private schools of unknown quality," Dean said. "Vouchers would have a devastating effect on public education, particularly in rural and economically distressed communities. We need to adequately fund our public schools and not take money away from them." Dean said he wants to raise the pay of public school teachers and says education would be his top priority if elected. While mayor, Dean has noted, he avoided cuts in public education funding during the 2009-2010 Great Recession hit, even though he cut most other city programs. Over his eight years in office Dean raised education spending in Nashville by 37 percent. 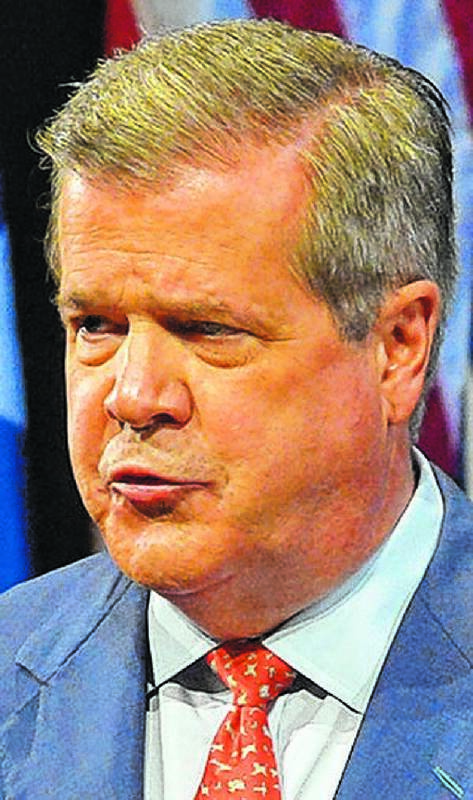 Jesse Register, a former Hamilton County Schools superintendent who was head of Metro Nashville schools while Dean was mayor, called Dean "a true education mayor." Although Lee and Dean both favor spending more money on education, Lee is quick to add that he doesn't think simply allocating more funding for schools will necessarily improve performance. "I do think we will continuously be increasing our investments in education, absolutely," he said. "But I don't think simply spending more money is what is going to make education better." Lee noted that Washington, D.C., which spends nearly twice the U.S. average per pupil for education, still had 19 percent fewer students performing at grade level than the U.S. as a whole. In Tennessee, which spends about 25 percent less per student on education than the U.S. average, the percentage of students who performed at or above the The National Assessment of Educational Progress Proficient level last year was 36 percent, or 4 percentage points below the U.S. average. Dean said he would favor more money for schools, even if it means cutting other state programs. In debates and in interviews, Lee and Dean have differed over Pre-K expansion and whether a universal program should be a priority. "We have mixed results in our current Pre-K," Lee said, citing a Vanderbilt University study. While a "quality" program is "effective," Lee said, "it's a waste of taxpayer money when it's not. And so I think that we have to make certain we have quality Pre-K everywhere before we begin to consider expanding that." Asked about funding expansion if the program is determined to be "quality," Lee said, "it's not fundable right now. We'd have to look for the funds. We'd have to decide if that was a priority and then you put funds where you have priorities." Lee also noted, "I am always a guy who believes that government is not the answer" but touted his support of boosting early childhood reading programs. Dean said "we have to continue down the road where we have universal Pre-K." But he also qualified that with a "caveat" that it "has to be a quality program" based on a Vanderbilt University study. He also backs more funding to hire "reading specialists." "This is something I would consider a priority if education is our No. 1 priority," Dean said. Education, he said, not only helps prepare students to succeed as adults but aids employers as well. Lee wants middle and high schools to do more to prepare students for skilled vocations that don't require four-year college degrees. He says his own mechanical and HVAC contracting firm in Franklin, Tennessee, the Lee Co., has provided its own training for nearly 1,000 workers over the past decade with a goal to get the workers to certificate attainment in electrical, welding and other vocations. "And yet we struggle to fill skilled-job openings," said Lee, who is both a certified welder and a mechanical engineering graduate of Auburn University. "Our education system has largely and culturally been focused on directing kids toward college. We want colleges to succeed and we want to promote and grow the Drive to 55. But we can add to that focus." Dean said he would also work to expand vocational skills training in more areas of the state. "Our students need to be able to work with the most modern machinery and technology," he said. "We need more of that at the high school level — maybe not at every high school but at least in every region of the state." Asked last month in Lexington about whether he favors arming teachers or making more state funds available for school resource officers, Lee said, "I think that what's most important is that our kids are protected. We protect banks, courthouses, elected officials with firearms, but we have our kids in gun-free zones and that doesn't make sense to me. "Whether it is a school resource officer, a retired military officer or a teacher that's willing, that wants to be part of the solution, that's vetted, that is vigorously trained — whatever it takes — we need to protect our children." Dean, who is now airing a new TV ad criticizing Lee on arming teachers, has said that "putting guns in the classroom would create more problems and concerns. The common-sense approach would be to provide school districts with the resources they need for trained law enforcement and school resource officers. Of the hundreds of educators I've met during my time as mayor and on the campaign trail, the overwhelming consensus is that teachers want to teach. They do not want to be armed."